Sprouts Farmers Market will be expanding into Maryland in 2018 when it opens its first store in the Mid-Atlantic region in Ellicott City, Maryland. WASHINGTON — Phoenix-based organic grocer Sprouts Farmers Market will open its first store in the Mid-Atlantic region next year in Ellicott City, Maryland. It is one of nine new stores Sprouts plans to open in the first quarter of 2018 and 30 new stores the company will open across the country next year. The Maryland location will increase the total number of states in which Sprouts has stores to 16. Sprouts says its new stores generally create about 120 jobs. It did not disclose any other near-term expansion plans in the Washington or Baltimore regions. The company is known for its natural and organic products at affordable prices and its knowledgeable employees. 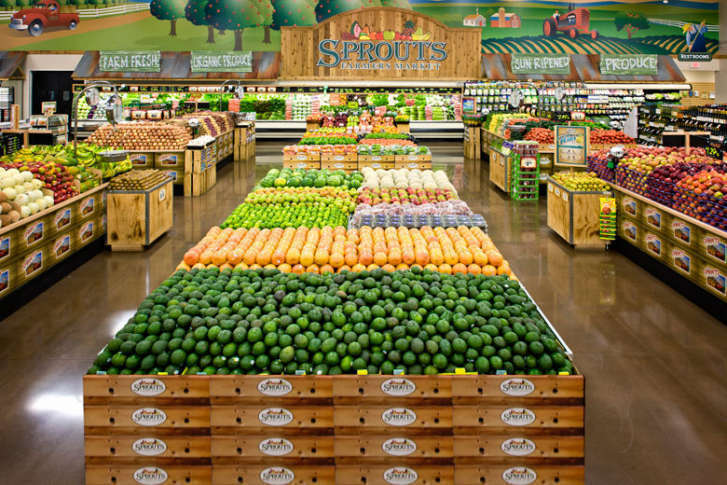 Its store inventories include more than 1,800 Sprouts Brand items. Sprouts also has what it calls “The Sprouts Food Rescue program,” which donates unsold and edible groceries, including fresh produce, from its stores and distribution centers to food banks in cities where it has stores. In 2016, the company said it donated more than 19 million pounds of product. It also has a “Sprouts Food Waste to Farms” program where food that is not fit for human consumption is either composted or sent to cattle ranches. Sprouts currently has a total of 280 stores and 27,000 employees.